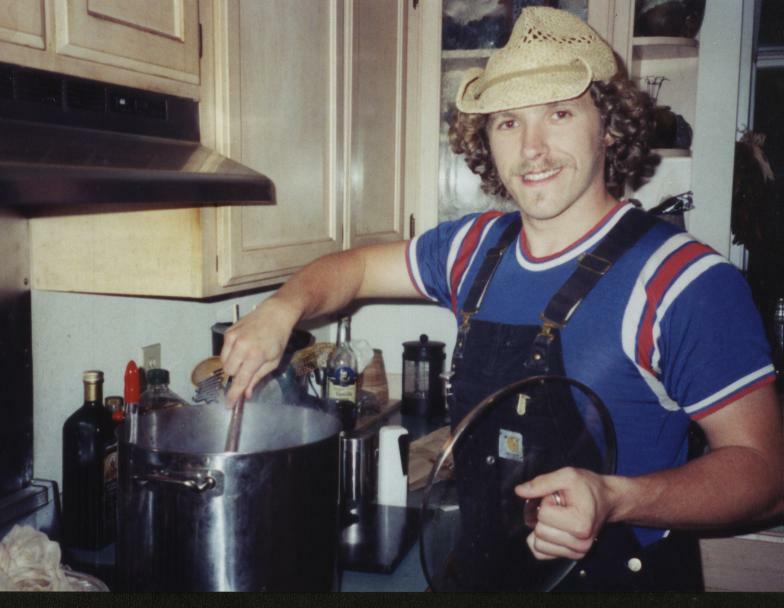 When I first started homebrewing back in 2002, I used to bring my homebrew into Boundary Bay to get feed back from the then Head Brewer Skip Madsen. Skip is a large hairy guy and is known by many as “The Wookie.” Skip was very encouraging with his feedback and would send me home with some yeast for my next batch. 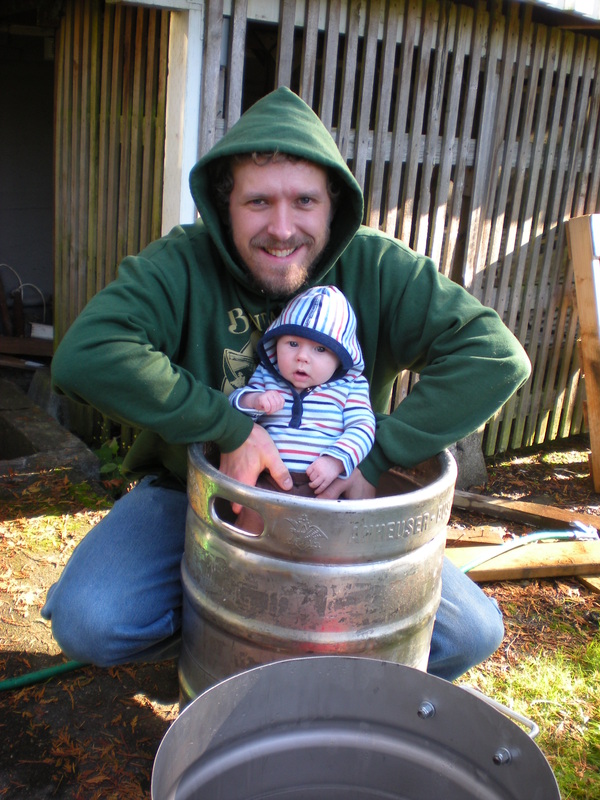 In 2005 I started working at Boundary Bay as a Cellarman and Assistant Brewer in 2006. Sadly, Skip wasn’t there anymore as he’d left to start the Waterstreet Brewery in Port Townsend and now American Brewing Company in Edmonds. I found two new teachers in Head Brewer Aaron Jacob Smith and Assistant Brewer Steve Ellison. Working in the brewery at Boundary Bay is kind of like an apprenticeship where I have to do the same thing many many times before being taught the next thing. I started washing kegs, but by the end of my first week I was doing transfers and filling kegs. Next I was washing and sanitizing tanks, harvesting yeast, bottling beer samples…bit by bit learning all the aspects of brewing. It took about a year and a half of dedicated effort for me to work my way onto the brewdeck, fulfilling my dream of becoming a professional brewer. As soon as I started working at Boundary Bay I’ve made many efforts over the years to increase my brewing knowledge. I’ve attended seminars and classes, read many books, applied for scholarships, brewed a lot of beer and tasted a few along the way. After 6 or 7 years of applying, I have recently been awarded the Glen Hay Falconer Scholarship to the American Brewers Guild Intensive Brewing Science and Engineering Course (link to ABG}. This is a monumental achievement for me. I know that in the future I will look back at this class as a pivotal point in my career. I share this victory with my co-workers Aaron and Steve who have taught me so much already. It can be frustrating applying year after year, I have a folder with all my applications and denial letters. You don’t know if you were in the top five or bottom fifty, you just know that you weren’t selected. Some years I took it kinda hard, doubting if I was on the right path. 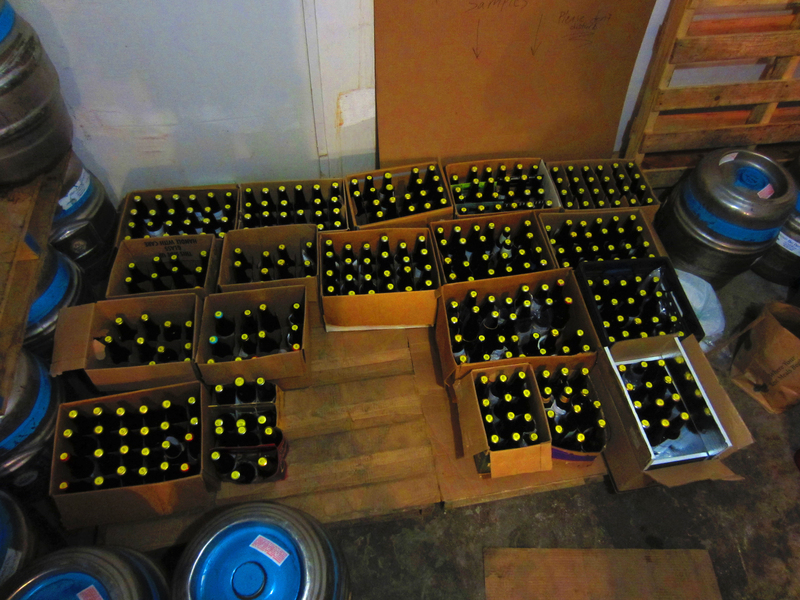 Other years I made fresh determinations to be the best brewer I can and continue to apply. I entered contests and drawings, everything I could think of to get a chance to attend classes on brewing. I have a degree in Environmental Science from Huxley College at Western Washington University. With the Brewing Science course I hope to be able to create a new niche for myself in the brewery, maintaining the consistent quality of our beer as we expand production in the future. I am determined to share what I learn through this course with my co-workers, other local breweries and local homebrewers. I teach beginner homebrewing classes and beer tasting classes at the Bellingham Technical College, the next class is a Winter Beer tastingon January 21st. Matt Hansen, a BTC culinary alumni and Boundary Bay kitchen manager, will be preparing foods paired with the beers. I will also be teaching a beginner homebrewing class in April and British Beer tasting class in May, next quarter. I started doing these classes because I meet so many people who say they want to start homebrewing but don’t know how to take that first step. I tried doing a hands on class the first time but it was logistically very challenging. The class is set up now as a demonstration/ lecture/ Q&A class. I have a friend, Robbie Lowry help keep an eye on the stove while we brew a batch of extract beer in the class. I bring hops and malts, discuss ingredients, the brewing process, I get people practicing bottling with some water…I just try to give them enough confidence that yes, they can do this themselves in their own kitchen. The beer tasting classes have been fun, but they are much better now that I have Matt doing the food. He prepares food right there in the class room while we are tasting and discussing the beers. I started doing the tasting classes because I meet so many people who don’t know what distinguishes different beer styles and/or don’t know what they like or don’t like in a beer. The great thing about tasting several beers side by side is that you can compare and contrast them to see what you like and why. Do you like the hoppier beers like an IPA or the malty sweet Scotch ale? Doing this kind of tasting helps people know what they want to buy or order in the future. Otherwise if you have a beer one week and a different beer the next it’s hard to compare the two and know which you liked best. The Glen Hay Falconer Foundation has an annual event, The Sasquatch Brewfest which will be held Saturday May 12th, 2012 in Eugene, Oregon. So I went from learning from the Wookie, to the Sasquatch. I will be going down with some beer and I hope that many people from Washington, especially Whatcom and Skagit Counties will attend as well. There is a brewam golf tournament that pairs professional brewers with amateurs, if you’re a golfer please come down and participate. This is the 10th anniversary of the Glen Hay Falconer Scholarship and they’ll be inviting all the previous winners to attend the festival. As this year’s winner, I will be representing Boundary Bay and Bellingham, Washington in a central position. I hope that I can bring more people and beer from Washington to this event, so please put that date on your calender, check out the website, train your liver and come down to the Sasquatch Brewfest. 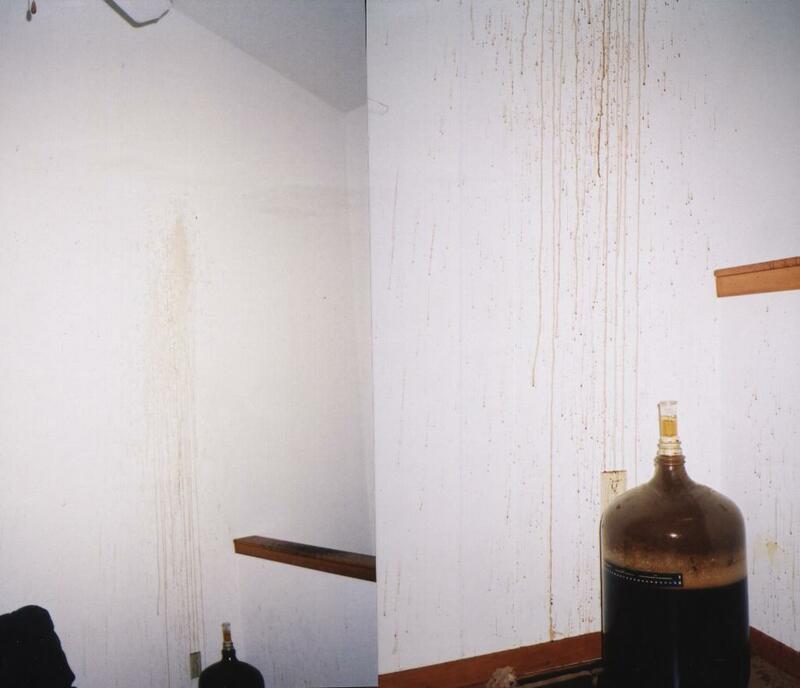 I first started homebrewing in late 2002. My first few batches of beer were less than stellar and I might have given up if not for the patient support of Robert Arzoo at North Corner Brewing Supply. When he suggested that I enter a beer in a local homebrew competition called Best of the Bay in 2003, I thought that I surely wouldn’t win anything but it would be good to get some feedback from more experienced brewers. I entered my fourth batch of beer which was an imperial stout that had erupted all over the house, I called it Mt.Vesuvius Imperial Stout and it was voted best beer in the porter/stout category. After repainting the walls and recovering from the mess, I was surprised at how good that beer turned out. This experience gave me a lot of confidence in my ability to make good beer and ultimately led me to pursue my career in brewing at Boundary Bay. 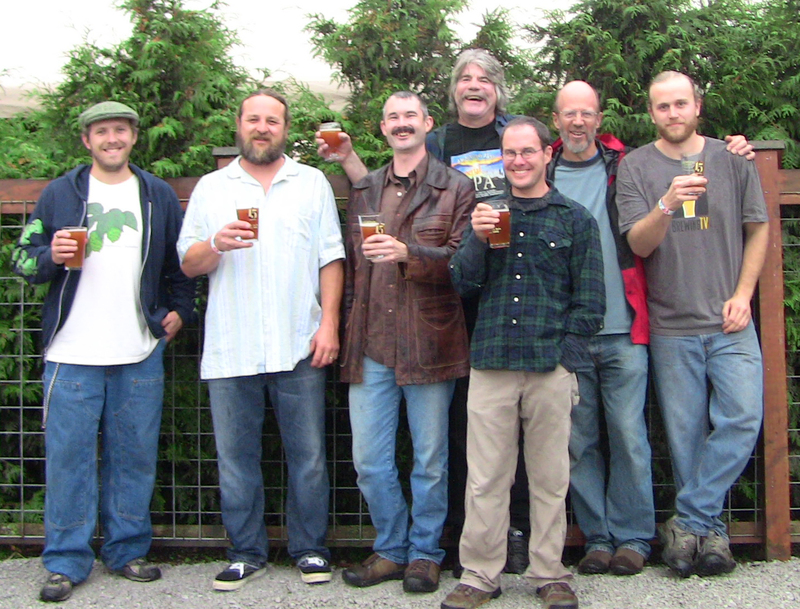 There wasn’t a club for homebrewers in Bellingham at the time in 2003, and Best of the Bay hasn’t happened since. 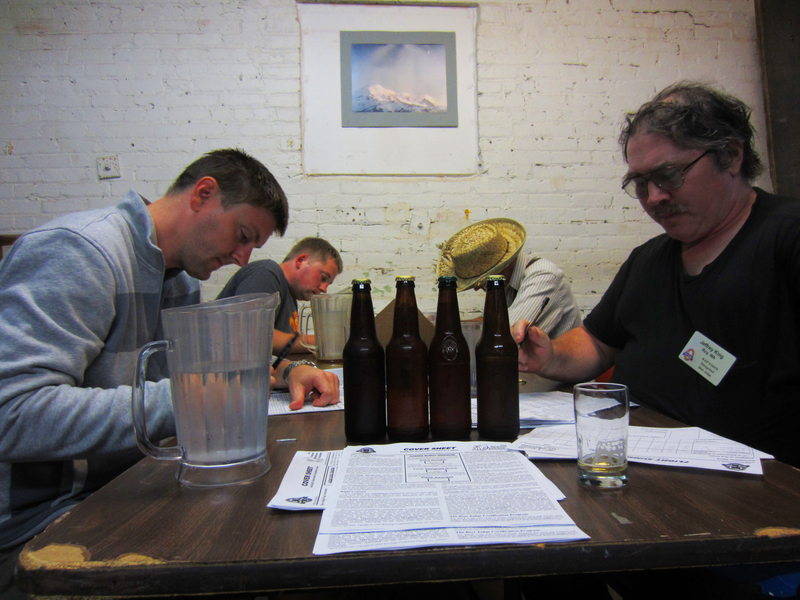 When I saw that the Bellingham Homebrewers Guild (BHG) was being formed and that some of the members had taken the Beer Judge Certification Program (BJCP) tests to be beer judges, I thought it was time to revive Best of the Bay. I wanted our local brewers both old and new to have the same kind of confidence building experience I had in 2003. I started out in Feburary by contacting Jesse Nickerson who was organizing the club at the time. We met and discussed what kind of event we wanted Best of the Bay 2011 to be. We set a date and registered with the national BJCP program and with the National Homebrewers Association. Jesse and I then formed a steering committee and met every two weeks for months planning the event. Ian Harper handled all of the website/internet stuff and as he was elected President of the BHG he helped co-ordinate with the club. Justin Bajema became our judge director and spent many hours contacting, organizing, and running the judging sessions. Alex Cleanthous painted the bung awards and was always willing to handle the loose ends. Robert Arzoo was a great mentor sharing his experience with running the Best of the Bay in the past. Chris McClanahan handled our promotion and gathered prizes donated by many sponsors including Boundary Bay Brewery, Chuckanut Brewing, Lagunitas Brewing, North Corner Brewing Supply, Northern Brewer, Avenue Bread, Artisan Alloys and others. Our event became two separate events as we held the judging on a Friday and Saturday; then Sunday we had an awards ceremony/ homebrew rally in the Boundary Bay beer garden. It was a tremendous success all around. We had 196 beers get registered with a final 184 official entries from throughout the state and even some sent from California. Winners received prizes and a Gold/Silver/ or Bronze bung. The best of show got a $50 gift card from Northern Brewer plus a free entry into the National Homebrew Competition which will be held in Seattle in 2012. Our event in the garden was saturated with great beer and people. 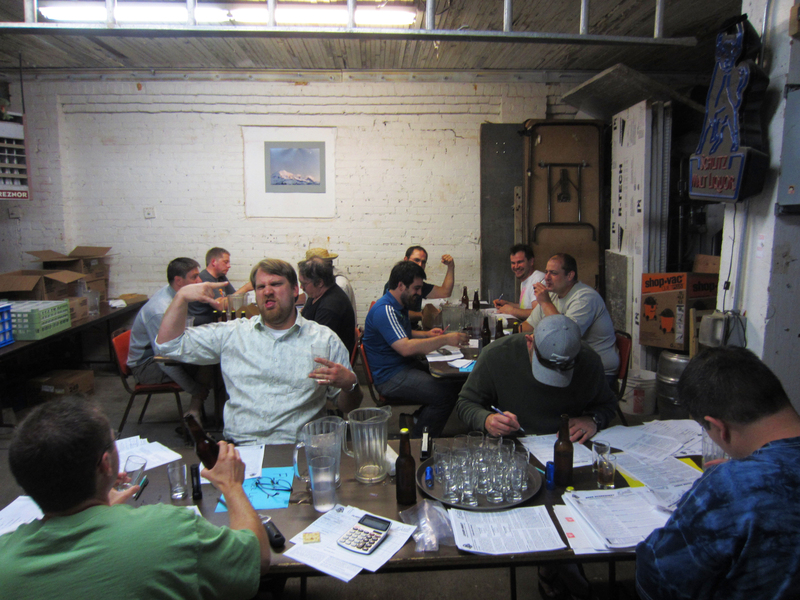 We had homebrew to taste, judges on hand to taste the beer and give feedback and homebrew set-ups to look at. Robert also made a series of hop teas so that you could taste hop flavors individually.